TFW’s first-half statement had already revealed a 1% profit advance and hinted the full-year outcome may not be that great (“It remains a challenge to maintain last year’s result.”). So these annual figures were never going to show impressive progress, although the numbers turned out a little better than I had expected. In the event, TFW managed to eke out its fifth consecutive set of record results — a performance the firm described as “excellent”. Bolstered by the purchase of Dutch firm Famostar, revenue gained 4% and operating profit climbed 6%. Excluding the acquisition, the underlying revenue and profit advances were limited to less than 2%. Almost two-thirds of 2018 revenue was earned within the UK. 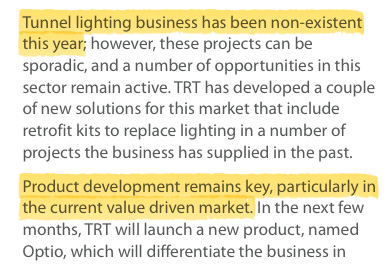 I get the impression the re-organisation of the group’s Compact Lighting subsidiary may have affected the overall top line. Following years of minimal profits (and losses! ), Compact was merged with TFW’s main Thorlux operation at the start of the 2018 financial year. Compact’s turnover had run at £4m and — looking at the results small-print (see later) — I dare say the re-jig prompted some product lines to be culled. TFW’s first-half/second-half splits revealed some contrasting performances. However, the group’s largest divisions did not enjoy the best of second halves. Second-half revenue fell 4% while profit fell 7%. Not great, although to be fair, Thorlux did enjoy a sensational 2017 and I did wonder six months ago whether the division’s H2 could repeat the H2 of the preceding year. Bear in mind, too, that Thorlux’s 2018 numbers include the aforementioned Compact Lighting subsidiary — while the 2017 numbers do not. 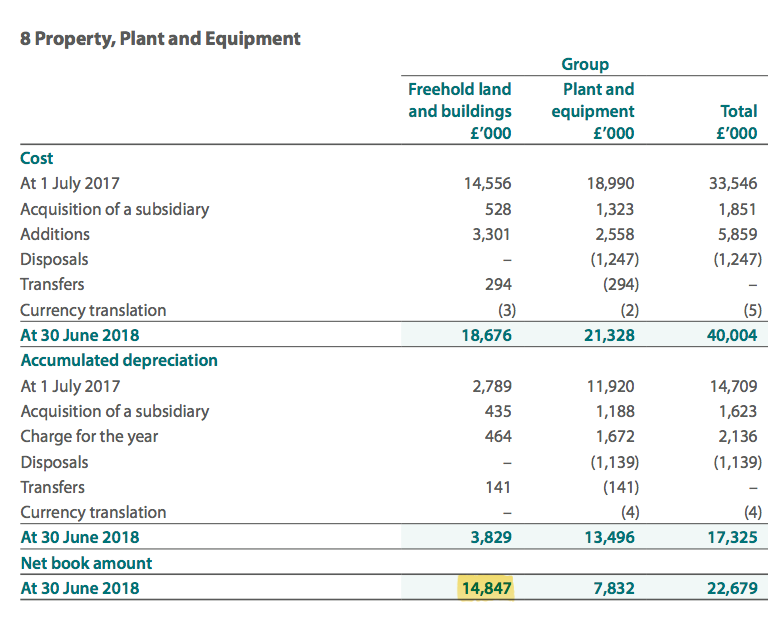 Given Thorlux’s annual revenue stayed around the £65m mark, I am not exactly sure what has happened to Compact’s sales — which reached £4m during 2017 according to Companies House. As I mentioned earlier, I suspect (or hope!) Compact’s turnover has mostly disappeared because the associated products never returned a profit and have been culled. “Latest developments, using the SmartScan platform, provide users with a building’s occupancy statistics by area and even provide data that analyses people movement, helping to improve a business’s efficiency, for example in a warehouse picking application to optimise product locations. Second-half revenue gained 12% while profit dived 25%. For the full year, revenue climbed 8% and profit fell 14%. Lightronics was purchased during 2015, and I note its operating margin has dropped from 15% that year to 14%, 12% and now to 10% for 2018. So what appeared initially to be a super acquisition has since moderated somewhat. The results small-print said Famostar’s 2017 revenue and profit were €7.7m and €1.3m respectively, which translate to £6.8m and £1.15m at £:€1.13. In comparison, I calculate Famostar generated sales and profit of £3.8m and £718k respectively during its first six months under TFW ownership. As such, this new subsidiary appears set to report decent growth during the current year. Underlining the near-term potential, TFW said Famostar had joined the group in “top gear”. TFW’s accounts remain in good shape. Although total capital expenditure once again exceeded the deprecation and amortisation charged against earnings, past differences have generally been due to property purchases. Management confirmed that was again the case for 2018. Furthermore, last year’s working-capital movement was minimal — as you would expect given the flat-ish profit performance. The whereabouts of these ‘loans’ is something to revisit when the full annual report is published. 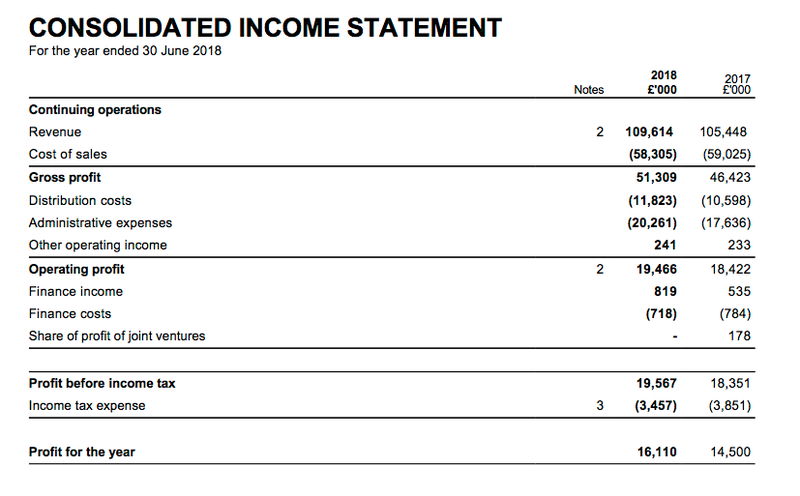 Free cash flow came in at £12.9m, of which £6.3m was spent buying Famostar and £5.7m was distributed as dividends. A variety of miscellaneous income sources helped year-end cash improve by £2m to almost £44m. Including TFW’s mix of investment property, loan notes and equity holdings, I calculate total cash and investments came to £56m. Less the £10m earmarked for earn-outs relating to the Lightronics and Famostar purchases, net cash and investments were £46m or 40p per share. The 17% group margin hides the fact the main Thorlux division converts a decent 21% of revenue into profit. Meanwhile, my return on average equity ratio — which ignores the group’s cash and investment hoard and adds back the Lightronics/Famostar earn-outs — remains very respectable. Indeed, during the last five years, TFW has lifted its earnings by 5.8p per share after retaining earnings of 31.6p per share. The incremental return on those retained earnings comes to an appealing 18% (5.8p/31.6p). Using the 2018 operating profit of £19.5m and applying tax at the 18% seen in this annual statement, earnings come to almost £16.0m or 13.8p per share. 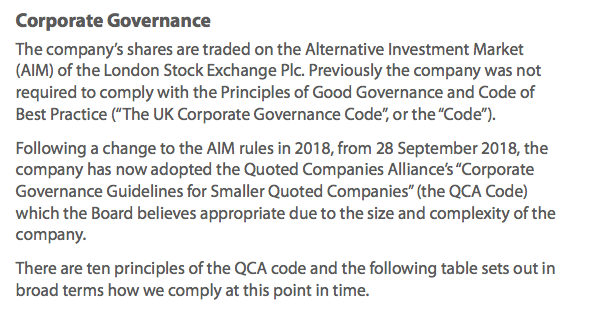 Then adjusting the present £359m market cap (at 310p) for the group’s net cash, investments and earn-outs, I arrive at an enterprise value (EV) of £313m or 270p per share. Dividing the 270p per share EV figure by my 13.8p earnings guess gives a trailing P/E of nearly 20. Meanwhile, the 10% dividend hike currently supports a tiny 1.7% dividend yield. 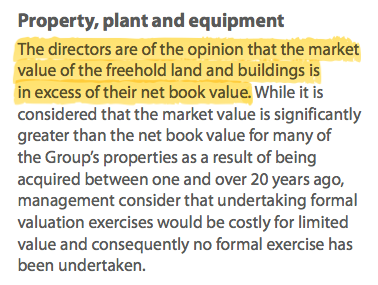 Certainly the present valuation appears rich for a business that has just squeezed out an underlying 2% profit advance. The “difficult to replicate” phrase was also used last year, and I suppose another standstill performance should be expected for 2019. For now, I can only cross my fingers that earnings can one day resume the bumper growth experienced between 2013 and 2017… before the share price starts to de-rate to a more modest P/E. Still, I would not be unhappy if TFW’s near-term expansion rested upon further acquisitions. The group has plenty of money on hand to find targets similar to Lightronics and Famostar, both of which offered reassuring, 70-year histories, reasonable price tags and specialist products (underlined by their revenue-per-employee ratios surpassing a sizeable €250k). So far at least, TFW’s two Dutch deals have performed quite well. 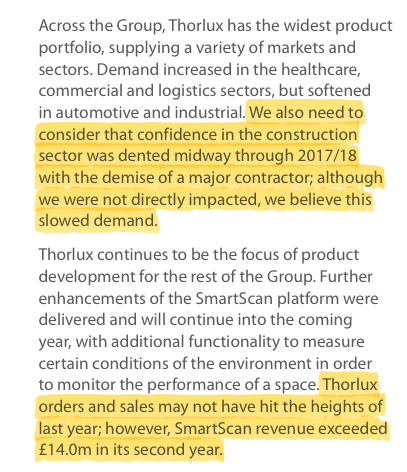 Management said sales of SmartScan had ‘rocketed’ in the results RNS, but this report says sales were £14m — and last year’s report said sales were £7m. So sales did indeed rocket. This SmartScan system currently represents 13% of total revenue, and I hope this new system can help push group sales further. I dare say the “Price changes” risk (see below) relates to TRT. 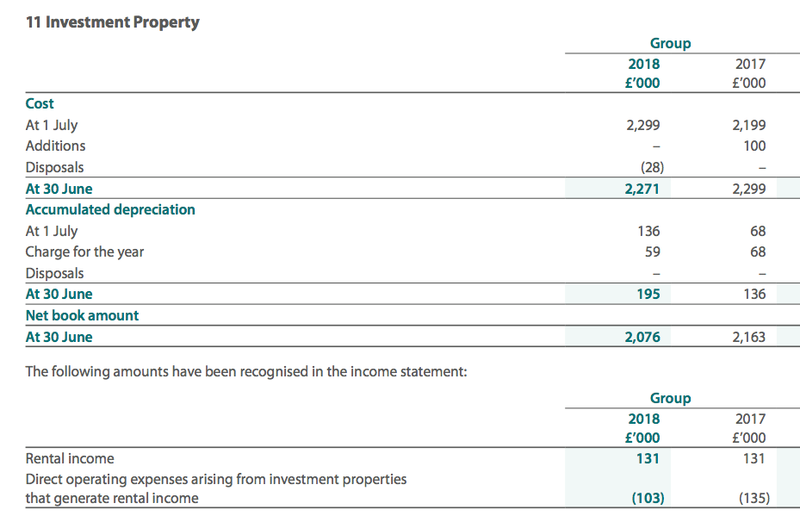 For 2017, Companies House shows sales of £3.5m and a near £1m profit — so a 29% operating margin. Nice. “Price changes” probably relates to TRT (see above). I bet the other two risks are related. The performance of TFW over time does not suggest there is anything too untoward with the current board set-up. Revenue per employee dropped from the record £165k of 2017 to £152k for 2018 — as 81 new staff joined while revenue gained only £4m. Employee costs as a percentage of revenue — at 27.6% — could not match the sub-27% for 2017 and 2016. However, up until 2016, the figure had generally been 28%-plus. Average employee cost is now £42k, down £2k from 2017. Perhaps the extra pay was to compensate for taking on the executive responsibilities of Andrew Thorpe, who became a non-exec at the start of the year. Bonuses look generous, too, given my estimate of underlying profit gaining only 2%. All told, pay looks reasonable for a business of this size, but I will not be impressed if pay/bonuses continue to inflate when the underlying business is just inching ahead. I am pleased the associated amortisation is close to the actual cash expenditure. I note the write-offs, too. These are not insignificant and appear to be written off straight to the income statement. Fishing rights must be a unique intangible asset among quoted companies. The portfolio enjoyed a 5% return last year. Looking back, 2017 appears to have been very favourable and 2018 returned to normality for this ratio. Between 2010 and 2016, year-end trade receivables as a proportion of revenue were 20% or more six years out of seven. So, TFW’s customers continue to pay in line with historical norms. 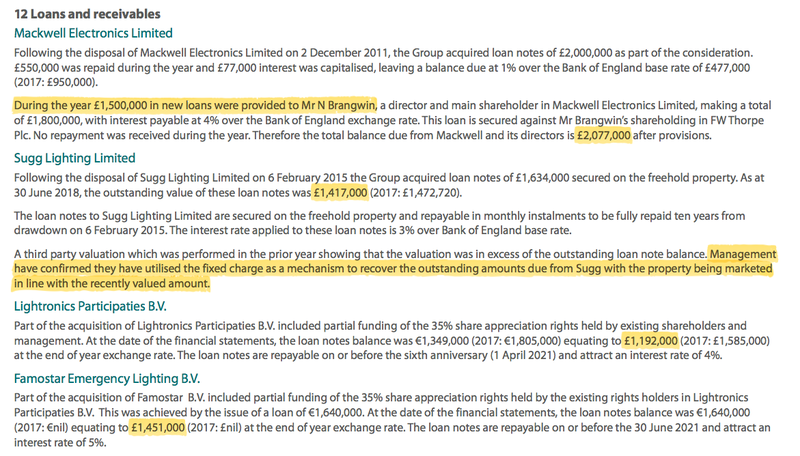 I mentioned in the Blog post above about “proceeds from loans” of £2,336k being received — and not understanding its whereabouts on the balance sheet. The loan seems to be money borrowed from a Dutch firm. I can only assume this money has something to do with Lightronics, Famostar or both. Anyway, it is lumped together with potential earn-out payments relating to the Dutch acquisitions and is already incorporated into my valuation sums within the Blog post above. The returns from assets of almost £40m plus contributions of £633k should easily be able to pay annual benefits of £1.4m or so. (Read Some Thoughts On Pension Deficits for more information). A new loan was issued to the owner of former subsidiary Mackwell, while a loan appears to have been called in at former subsidiary Sugg. Throw in the Dutch loans and the total comes to £6m still to be paid back. I am catching up with this statement that was issued on 22 November. “Last financial year we achieved another set of record results but my September statement referred to the challenges in maintaining these for the current financial year. Orders for our main business, Thorlux Lighting, were slow in the first quarter but have started to recover in October and November. Whilst other parts of the Group continue to perform well, we presently expect the interim results for the Group to be lower than the same period last year, with operating profit around ten percent lower. At this time, it is difficult to accurately predict second half performance, but we are unlikely to close the gap and the full year results are likely to be lower than last year. We have already taken mitigating steps with the closure of our Portsmouth manufacturing facility and other headcount reductions and we will see these cost benefits in the second half of the financial year. 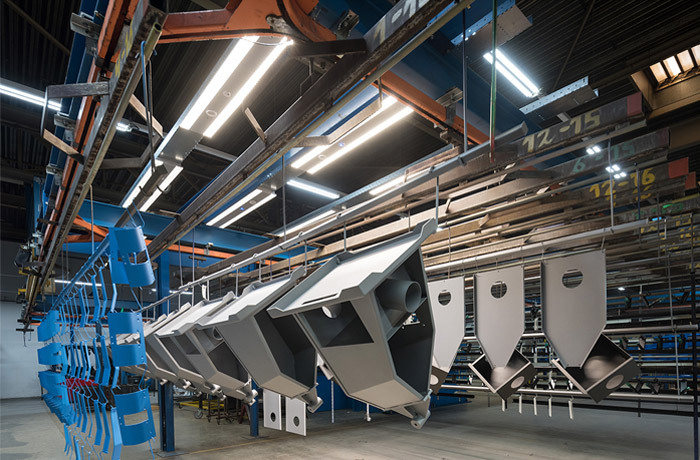 As cautioned during my recent Annual Report statement, the UK lighting industry, as a whole, is experiencing a downturn resulting in challenging trading conditions. We will continue to drive the business for the long-term in spite of the current political, economic, and market headwinds, by continuing to invest in product development and considering acquisition opportunities where appropriate”. Perhaps not a complete surprise given the mixed trading reviewed in the Blog post above. In particular, slow trading at Thorlux during the first quarter followed the weaker second half I mentioned in my results review. My study of the annual report in the Comment above suggested the demise of Carillion and the knock-on effect within the construction sector had affected Thorlux. I do not get the impression TFW’s woes are due to losing ground to the competition. Assuming full-year operating profit falls 10% as per TFW’s projection for the current first half, then my earnings guess drops from 13.8p to 12.4p per share. A share price of 260p therefore equates to P/E of 18 adjusted for the 40p per share of cash and various investments. My multiple is not cheap for a share that is undergoing an earnings wobble.